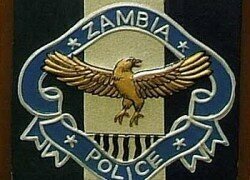 SUSPECTED United Party for National Development (UPND) cadres on Thursday assaulted police officers in Kafue when they tried to stop them from removing campaign materials for other political parties. Deputy police spokesperson Rae Hamoonga told the Daily Nation in an interview yesterday that the incident happened around 16:30 hours after a UPND rally at Matanda grounds. Mr. Hamoonga said that when the rally ended, the cadres invaded the town and destroyed campaign materials belonging to other political parties. He said when police moved in to maintain law and order the officers were stoned. “After attending a UPND rally, the cadres went into town where they started removing campaign materials for other political parties, but when the police intervened to stop the activity which almost caused aggravation from other political parties, the officers were stoned and three of them sustained some injuries,” Mr. Hamoonga said. He assured that the culprits would be arrested and prosecuted. “We strongly condemn the conduct of these UPND cadres and we are investigating the matter. All those that were involved will be arrested,” Mr. Hamoonga said. Mr. Hamoonga reiterated that the police would not tolerate lawlessness during the campaign period. He urged political parties to observed law and order as they carry out their campaigns ahead of the August 11 general elections. “Our emphasis has always been on the need for political parties to refrain from violence and other activities that would disturb the peace of the country. All political parties should ensure that they abide by the law during this period, because we will not hesitate to apprehend anyone trying to cause confusion,” he said.